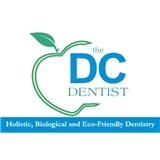 The DC Dentist (Washington) - Book Appointment Online! Terry Victor, DDS is an exceptional dentist in Washington DC providing preventive, restorative and cosmetic dentistry designed to give you an attractive and healthy smile. Dr. Victor practices eco-friendly holistic dentistry in a relaxing environment. Dr. Victor is an unrestricted Insurance provider and accepts all PPO Insurances. Nice, identified issues i had been thinking about bringing up before I even mentioned them.